Detail Produk "Chison EBit 60 Ultrasound Machine"
The New Chison EBit 60 has quickly become the most popular new portable shared service ultrasound machines. 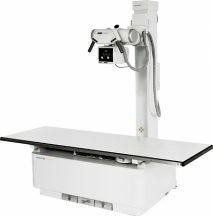 With a breakthrough price-point and great image quality, the EBit 60 provides the most affordable, high quality full-body portable ultrasound machine. 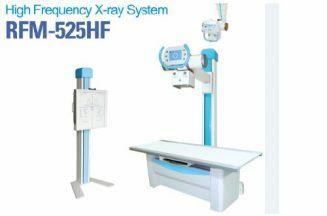 The EBit 60 was designed to bring a powerful cardiovascular ultrasound machine into the market at a very competitive price. 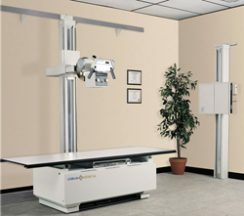 In a very diligent and stringent development process, Chison created a winner in this market that will satisfy the needs of those looking for an affordable, high quality ultrasound with good cardiovascular capabilities. The EBit includes some of its own advanced image optimization technologies, as well as popular features such as Compound Imaging, Speckle Reduction Imaging, AutoIMT, Automatic Image Optimization, easy connectivity, and prospective saving. 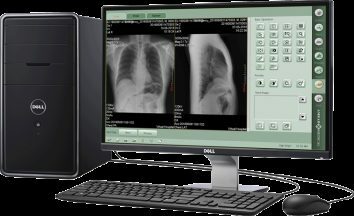 Besides image quality, the EBit 60 has workflow features that are lacking from most portable machines for cardiovascular use. It’s one of the reasons this machine stands out above the crowd.